I think I have mentioned that we are all big Star Wars fans in this house. Our 6 year old became slighly obsessed with Star Wars LEGO sets around Christmas time. My mom, a.k.a. Grammy, has spoiled him rotten with bringing him tons of mini sets. The majority of what she has gotten him was purchased on eBay. He also has an insane amount of what they call mini figures. This isn't even all of them. 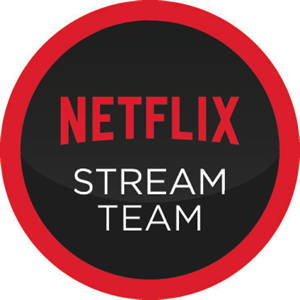 What are your kiddos currently obsessed with? I love how you have them all in a circle on display. They're actually pretty darn cool looking! PS. I accidentally linked up last week's on the linky. Can you delete that link? Wow, looks like a great collection! My 6 y.o. daughter also LOVES Star Wars. We don't have near the amount your son does but her birthday is in Oct. so I am sure we will acquire some more. Great collection. 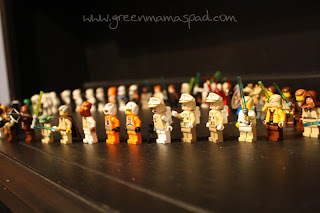 My son loves Star Wars but we haven't started the lego sets yet. He just has some figurines. I stopped over from "Two of A kind." 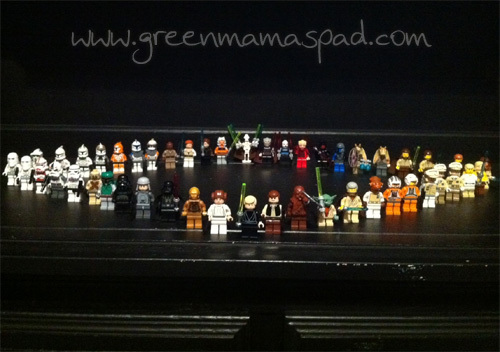 Please check out my blog under legos on the right hand side. 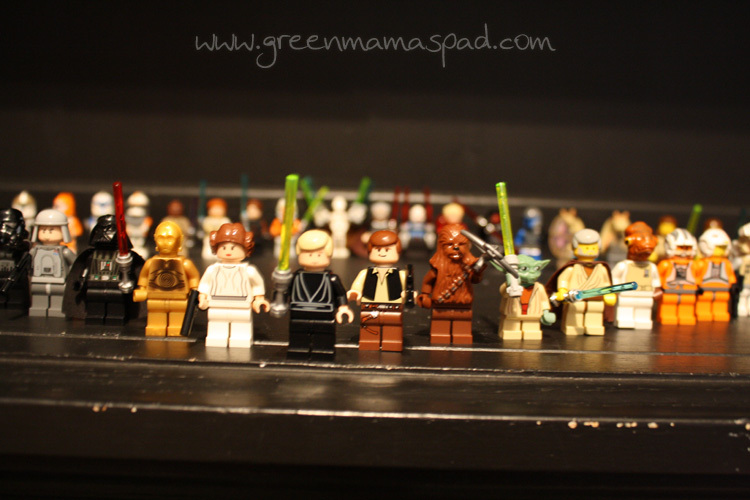 I have a free lego bingo printable and other lego posts. My 6 and 9 year olds love legos too. I love the little minis! Even those *I* might could get hooked on! LOL Oh, and we have like 26 THOUSAND (it seems) Littlest Pet Shop critters crawling around here LOL Happy WW! My son just went nuts seeing these pictures! He loves the little guys AND Star Wars! Star Wars is a big obsession here too! I lovve the collection. Those are pretty neat.. My son likes Legos, but I find them everywhere so I have not bought any in a while. 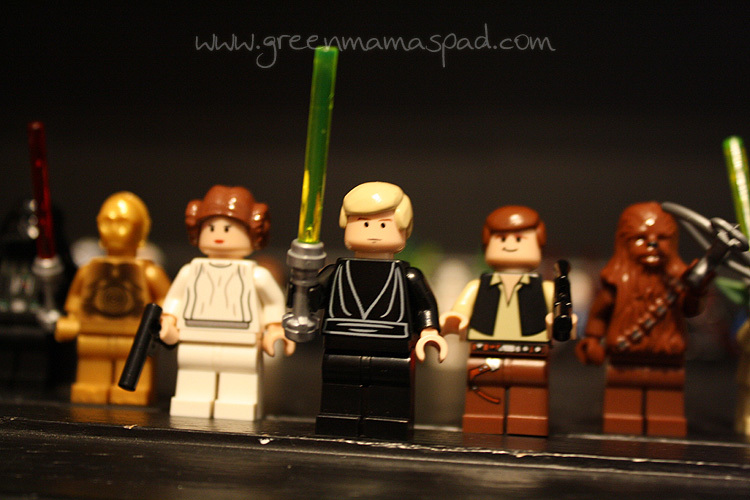 The Star Wars lego characters are neato! That is really impressive!! 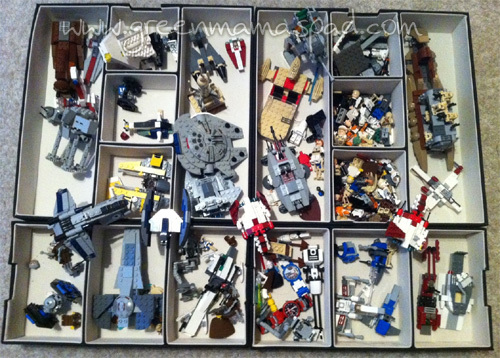 We LOVE Legos and Star Wars Legos but they are not kept neat and tidy like yours. That's an awesome collection! My husband would be jealous! Those pictures are so cool...I happen to be a bit of a lego geek myself! I officially love your son, I'm a huge star wars fan so I loooove this! Oh wow! My kids would be in heaven with those! Oh my gosh, how great is that! My husband and our son would be in SW heaven. My kiddos will collect anything! Great photos, all of them. 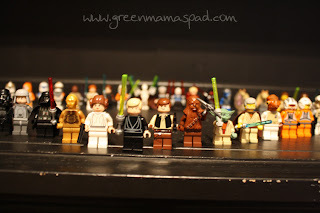 I have a friend whos son is totally into Star Wars everything, and absolutely adores Legos, too. He has just about all of those items, too... he would love to see this collection and play with your son. that is a lot of star wars! I love the way you all set them up! Omg that is so cool! I am a huge Star Wars fan myself so I totally appreciate that. Our Lego collection is insane. For a mom who likes to be organized, they are one of my biggest challenges. Your lego collection is well arranged.